On 15 and 16 November 2018 Sciences Po Lille hosted an event to celebrate the launch of the French National Network of the Organismes de Foncier Solidaire (OFS) and the signature of the first baux réel solidaire (BRS) between the recently established OFS Metropole Lilloise (OFSML) and the future residents of the project Cosmopole. The celebration occurred in the presence of the French Ministry for Housing and Town Planning and was met with great enthusiasm by a large audience of representatives of housing cooperatives and social housing associations (HLM), regional and municipal housing delegates, and the presidents of the seventeen OFS federated in the Network. The event also brought together property developers, representatives of financial institutions, such as the Crédit Foncier and the Caisse de Depot, and prominent figures of the French Conseil Supérieur du Notariat. The reason for this widespread interest and support by such a diverse range of French housing stakeholders lies in the potentially far-reaching beneficial effects that the OFS-BRS scheme may have on the French housing market in terms of increasing its stock of permanently affordable housing, a mission which is altogether similar to that of Community Land Trusts in the United States. 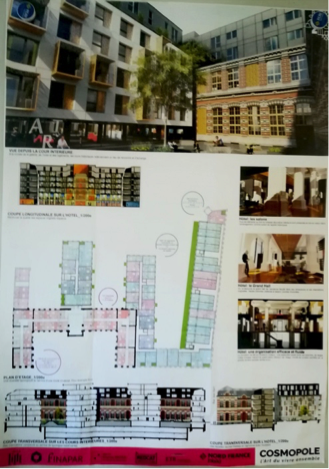 We have already described here the origins and the main features of the CLT model and have presented here the practical implementation of the model in the case of Dudley Street Neighbourhood Initiative, where it has resulted in fostering long-term housing affordability and revitalising the neighbourhood. We have also observed here that the concept and features characterising the CLT model did not remain confined to the United States but spread to several countries in Europe, including the United Kingdom, Belgium, and France, urging serious reflections on the most appropriate legal tools to adapt it in the different legal systems. In France, growing concerns over long-term housing affordability have hit the political and legislative agenda during the past five years and resulted in the legal introduction of the OFS-BRS scheme, whose functioning is inspired by the CLT model in the United States. Understanding how the OFS and BRS work together in practice was the main focus of the several workshops held during the event in Lille. The first element of the scheme, the Organisme de foncier solidaires (OFS), was introduced by the Loi ALUR in 2014. Article L329-1, Code de l’Urbanisme describes the OFS as non-profit organisms totally or partially devoted to the acquisition and the management of improved or unimproved land, and whose main goal – as part of the broader housing promotion strategy set out in article L301-1 of the Code de l’Urbanisme – is to provide affordable homes to be rented out or sold to income-qualified persons. Two workshops during the event focused on the most appropriate legal formats and the procedure for the implementation of OFS. It emerged that the OFS may be set up by local and regional public authorities or by private housing stakeholders as non-profit entities, such as fondations reconnues d’utilité publique, sociétés anonymes de droit privé, groupements d’intérêt public, or as one of the legal entities mentioned in articles L411-2 and L481-1 of the Code de la Construction et de l’Habitation (CCH), and notably sociétés d’économie mixte de construction et de gestion de logements sociaux or organismes HLM.Different legal formats may better work in different local contexts and the choice may depend on the characteristics of the particular housing project(s) envisaged and on the nature and number of the stakeholders involved. However, identifiable common traits of the OFS are i) their non-profit nature and ii) their capacity to permanently devote land to affordable housing purposes. It should be also stressed that the OFS does not represent a new legal format, but a status recognised to an already existing legal entity. Indeed, according to articles R329-6 to R329-10 of the Code de l’Urbanisme, the OFS shall be approved by the local Prefect on behalf of the State after verifying that all the requirements established by the law are complied with.  And the Prefect can at any time revoke or suspend the OFS status if found that the OFS no longer respects the conditions prescribed by the law or where it has contravened its main obligations. The event in Lille also represented the opportunity to launch the Réseau National des OFS: « Foncier Solidaire – France », which takes inspiration from the UK and the United States National CLT Networks. Seventeen OFS recently set up or under creation have gathered in the Network with a view to support and promote the realisation of OFS-BRS projects. According to its Charter, the Network aims to i) sharing experiences and promote collaboration throughout the country, ii) put forward proposals to the Government and to other housing stakeholders, iii) facilitate the connection with new different forms of housing (eg habitat participatif), and iv) ensure large-scale communication to the public and foster the knowledge of the model. The Network may also involve other housing stakeholders, which are not OFS, such as local authorities, social housing promoters, financial institutions. In particular, the Fédération des Coopératives HLM and the National Association of the Etablissements Publics Fonciers Locaux have already decided to join this initiative. How do the OFS work in practice? Further workshops during the two-day event focused on the second element of the BRS-OFS scheme, the bail réel solidaire (BRS), that is the legal mechanism through which the OFS can realise housing affordability goals. As para 3 of article L329-1 clarifies, the OFS-BRS scheme relies on a split in the ownership of land and improvements: the OFS are set to retain ownership of the land in perpetuity while homes built or renovated on the land are sold or rented out to income-eligible purchasers. In this way, the price for purchasing or renting homes is kept affordable to the extent that the cost of land is borne by the OFS. To this purpose, a major legislative intervention in July 2016 devised a new type of contract for the lease of land, the BRS, specifically tailored to be used by the OFS in furtherance of their mission. The BRS is regulated by articles L255-1 to L. 255-19 of the Code de la construction et de l’habitation (CCH) and by the decree of the Conseil d’Etat n° 2017-1038. The BRS is modelled after the structure of pre-existing types of ‘long leases’, notably the emphyteutic and the building lease, and allows to separate interests in the property for up to 99 years. However, some specific features make it the perfect instrument for the OFS to achieve housing affordability goals. In particular, the law precisely sets income-eligibility criteria for prospective occupants, strictly regulates their ability to transfer their rights over OFS homes by way of sale or by will, and grants the OFS a right of pre-emption in any case of resale; moreover, in case of transfer of OFS homes, the law establishes that the price must comply with a fixed formula which aims to limit speculation. 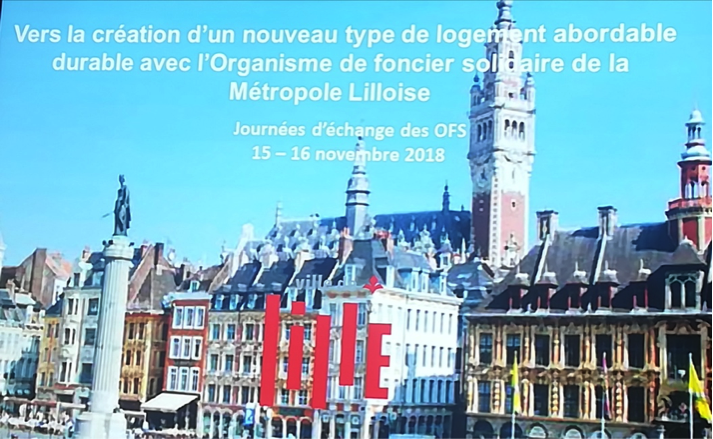 Thanks to this enabling legislative framework and to the support of a vast range of housing stakeholders, Lille Métropole has set up its OFS in February 2017 (OFSML). The OFSML has been set up together with the Métropole Européenne de Lille (MEL), the Fondation de Lille, and the federation of real estate developers Nord Pas-de-Calais; other organisms, notably Action Logement and the regional HLM association, will be soon integrated in the board of directors of the OFSML. In December 2017 the OFSML launched its first project, Cosmopole, which offers a good practical illustration of how the OFS-BRS scheme works. The different stages of the realisation of this project were presented during one of the workshops and a visit to the site was arranged during the event. 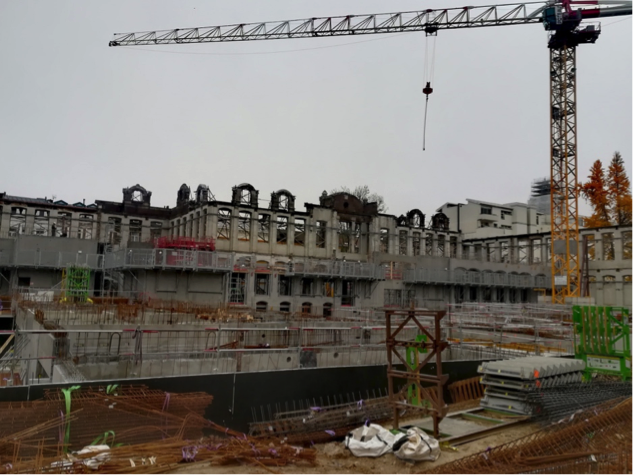 The Cosmopole project is located on the site of former university buildings in the city centre; the buildings were previously owned by the municipality of Lille and then bought by the OFSML thanks to a financial loan granted by the Caisse de Dépôt. For the realisation of the project, the OFSML has worked in partnership with a real estate developer (selected after a call for projects). The OFSML first sold the whole site to the developer and, subsequently, the developer sold back to the OFSML the land on which the 15 BRS homes were to be built, against payment of a symbolic price. At this point, the developer entered into a BRS contract (called BRS-Initial) with the OFSML and acquired temporary ownership of future homes against payment of a peppercorn ground rent; at the same time, the developer undertook the obligation to build the homes and was granted the right to sell them according to the criteria already defined by the OFSML. Households wanting to buy one of the homes have to i) comply with the eligibility criteria and be approved by the OFSML; ii) enter into a contract with the developer (Vente en état futur d’achèvement, or VEFA) where all the terms (eg price, income ceilings) are already set by the OFSML; and iii) simultaneously enter into a 99-year BRS contract with the OFSML, called BRS-Utilisateur, against payment of a ground rent (eg 1euro/m2/month). In this way, the households acquire ownership of the homes and become leaseholders of the OFSML land upon which they are located. At the same time, as the homes are sold by the developer the rights conferred to it via the BRS-Initial are withdrawn and, once the last home is sold, the contract expires. And now, if the BRS households ever want to sell their homes, they are bound by precise terms (set by the law and by the OFSML itself) concerning the resale price and their rights; equally, prospective purchasers will need to meet income eligibility criteria and be approved by the OFSML in advance. However, new purchasers will not have to enter into a new BRS with the OFSML, as they will substitute the former occupants and the original BRS-utilisateur will be automatically ‘recharged’ for another period of 99 years. The Cosmopole project is in the latest stages of its completion: the first contracts BRS-utilisateur were signed between the OFSML and the purchasers in November 2018. According to the CEREMA’s report, the Cosmopole project is expected to be completed in early 2019, while another project of the OFSML, Bourse du Travail, is under construction and homes are expected to be ready in 2020. But the practical implementation of the OFS-BRS scheme is not confined to Lille. As highlighted in other CEREMA’s reports, several projects have been launched throughout the country by the OFS Rennes Métropoles, the OFS Avignon, the Coopérative Foncière Francilienne, the Foncière Haute-Savoie, and by the COLs Foncier Solidaire in Biarritz and in L’Espelette. Although each of these projects is supported by several different housing stakeholders and may have slightly different characteristics and targets, they all rely on the OFS-BRS scheme and pursue the goal of increasing the stock of permanently affordable housing. It should be mentioned that the whole site measures 20,000 m2 and will host 210 housing units. Along with the 15 units available for purchase by low-income households via the BRS scheme, the site will feature 49 social housing rental units, 9 housing units for moderate-income households, and 54 units under the pret locatif social-usufruit locatif social schemes (PLS-ULS). The site will also host 214 parking lots, a hotel, an art gallery, and the English Cultural Centre.